Shimano reels… why no spare spool? 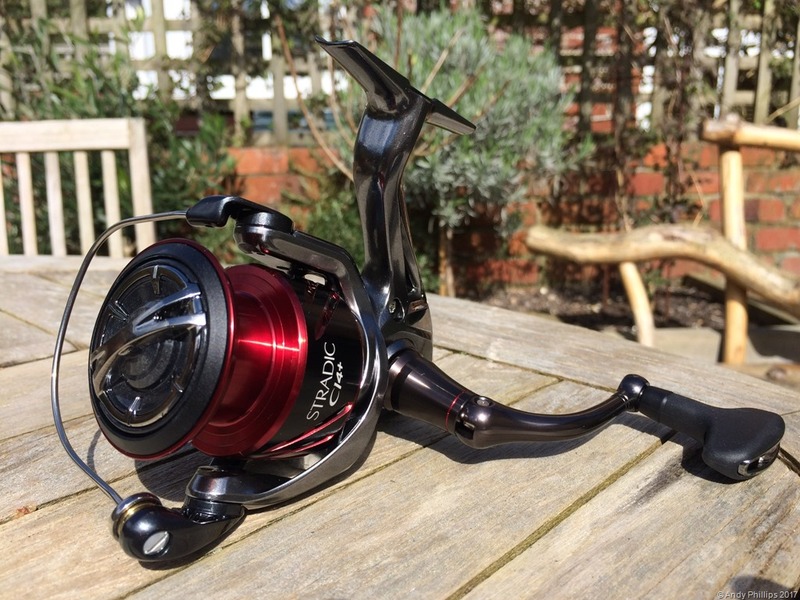 So, I recently had a birthday and with a bit of gentle guidance the wife came up trumps again as I gleefully unwrapped a parcel that looked suspiciously like it might house a much required new reel inside….. and what do you know – therein lay a brand spanking new Shimano Stradic Ci4+ 4000XG. A fine bit of kit it looks too which will replace one of my aging but superb Shimano Rareniums….. what a workhorse of a reel they are, and have been. If the Stradic is anywhere near as good I will be chuffed to bits… could be perfect for bass lure fishing in the UK. However, I have a gripe….it bugs the hell out of me that these days with most new Shimano reels there is a distinct absence of a spare spool. This seems to be an across the board policy by Shimano with this type of spinning reel that a lot of lure anglers will use… certainly those in the £100+ bracket I have looked at. I obviously can’t speak for everyone out there on this but I’d hazard a guess that a fairly large percentage of lure anglers would want to carry a spare spool with them for their fishing either in case of malfunction or simply because conditions might determine you need to fish lighter or heavier than you are with the existing spool. The crazy thing is pretty much the first thing I did once I took this new reel out of the box was to note the part number for the spool, to then go and trawl the internet to source an additional one…. it’s frustrating beyond belief as actually finding the spare in itself can be a consummate head banging exercise. Please, please Shimano ship a spare spool as standard to save us the frustration highlighted above… I would gladly pay the extra cost for the reel to have the added value of that spare spool included. Alternatively, make the spare spools much more readily available to retailers as an optional extra at the point of sale so we can add this to our shopping baskets when we purchase the reel itself. It surely can’t be any more difficult than that can it? I can’t think why this would not make sense from a customer service and subsequently a sales perspective? Am I missing something? It’s such a shame as the quality of Shimano reels on the whole are outstanding and it feels like they are taking it for granted a bit that us consumers will always come back for more because of that quality. Are they resting on their laurels a bit here I wonder? I’m not sure whether the other big player in this market Daiwa have the same policy but if they do then it does feel like they’ve both left the door ajar for one or more of the other manufacturers out there to come up with a corker of a reel, or range of reels, that actually does include a spare spool from the outset. After all, it might only take a decent volume of favourable reviews for the masses to quickly switch allegiance and the big boys market share would be hit. Am I the only one who feels like this? Maybe I am!! Anyhow, rant over…. hopefully will get fishing with the new Stradic soon…. and I’m sure I’ll love it! I agree, bugs the hell out of me! Picked this reel up the other day, feels lovely, but yes, where’s the spare spool like we used to get in the box? Glad it’s not just me Henry!! Reel does feel lovely – love the fact there’s no anti-reverse as well… we don’t need it for our lure fishing in my opinion. On the spare spool it just baffles me – I can’t think of a sensible argument why they wouldn’t include one even if the reel costs a little extra. I could’nt agree more with yours and Henry’s comments regarding the spare spool issue. I have the Stradic 4000 FB Ci4+ (£150) and I love it! But I would have happily paid more to have the extra spool. Ironically, my start-up reel, a £45 Shimano Nexave 4000 came with a spare spool that was pre-loaded with nylon. It makes no sense at all to me! Thanks for the comment Greig, it really is ludicrous in my eyes…. on so many levels. I guess we can only live in hope that the powers that be at Shimano (& Daiwa come to that) are listening to us punters and see sense? Good luck with the fishing in 2017!